"We make outdoor furniture for the modern lollygagger," explains Loll founder Greg Benson. "Our furniture is for people who are looking for fresh design that’s made in the U.S.A. with sustainable manufacturing practices. At Loll, we strive to inspire people to appreciate the outdoors both by the way we make our products and how they are intended to be used." Starting as a side project, Loll was founded in 2006 by a custom skate park manufacturer as a way to repurpose excess ramp material. 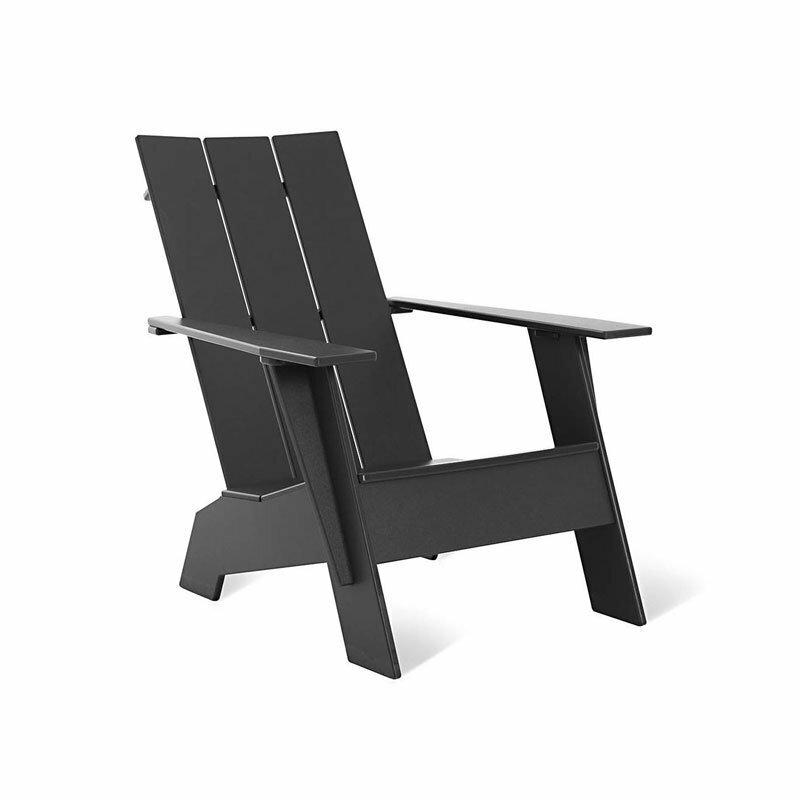 That original company is gone, but Loll still designs and produces durable all-weather outdoor furniture made from 100% recycled and recyclable plastic, mostly from reclaimed post-consumer milk jugs. Since the company’s founding, its dedication to the environment has kept more than 100 million milk jugs out of landfills. The Adirondack Collection (2008), Loll’s most renowned, is waterproof, fade-resistant and maintenance-free. Each piece ships flat to save on packing materials; simple assembly required (Allen wrench included). Made in U.S.A.